Representative Honours: Ireland: 7 Full Caps / 0 Goals (1889-1893). Club Honours: (with Distillery) Irish Cup Winner 1888/89, Runner-Up 1887/88, (with Cliftonville) Irish Cup Runner-Up 1889/90, 1892/93. * all competitive games, both spells; # all friendly games, both spells. It was whilst attending the famous Belfast Mercantile Academy that Alex Crawford first experienced football, and in his own words, “took to it like a duck to water”. So keen was he that he founded his own club, the short-lived Botanic FC, but when the club folded he signed for Cliftonville. Unable to establish himself at Solitude, he joined Distillery where he developed into one of the most accomplished and popular players in the game. With Distillery Crawford played in two consecutive Irish Cup Finals. The first in 1888 began with an Irish Cup record win of 18-0 versus United Steamship, but ended in a 2-1 final defeat by his former club, Cliftonville. The second Final saw a close-fought 5-4 win over YMCA, following early round wins of 10-0 and 13-0 over Oldpark and Hilden. 1889 also brought a Co. Antrim Shield winner’s medal, YMCA suffering final defeat again by a more convincing 8-4 scoreline. In 1889, Crawford re-signed for Cliftonville and in his first season back at Solitude, played in the 3-0 replayed Irish Cup Final defeat by Gordon Highlanders Regiment at Ulsterville. The next year saw the foundation of the Irish League, Cliftonville finishing fourth out of eight clubs. Crawford re-joined Distillery in 1891, but it was to be a brief return, punctuated by a Belfast Charities Cup Final defeat by Linfield, as he was back at Cliftonville for the 1892/93 season. 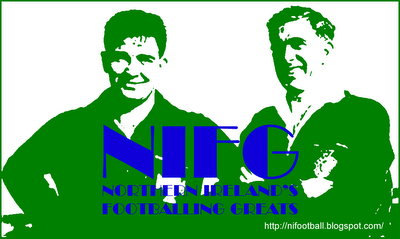 He played in his fourth Irish Cup Final in 1893, finishing on the wrong end of a 5-1 scoreline against Linfield. 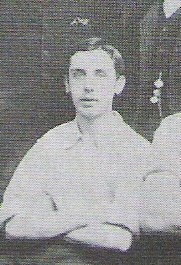 Crawford won the first of seven Ireland caps in 1889. During a four year international career he was to have the honour of captaining his country. Although the Irish were undoubtedly still the whipping boys of Home Nations' football at the time, they pulled out wins against Wales in 1891 and 1893 and a respectable 2-1 defeat by Scotland in Glasgow in 1891. All but his first two caps were won as a Cliftonville player. Other honours to come Crawford’s way included Co. Antrim and Inter-City representative appearances and prizes in cycling. That ties in with my records.